I love this style so much! I tried it and it helped keep my head cool in the summer ahhaha. 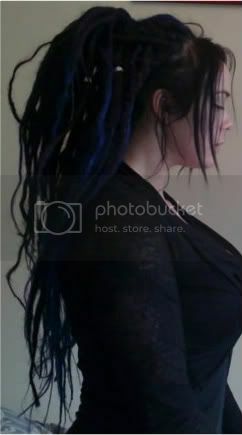 Oh and LoveBunny your dreads are sooooo gorgeous! I tried this, really easy! 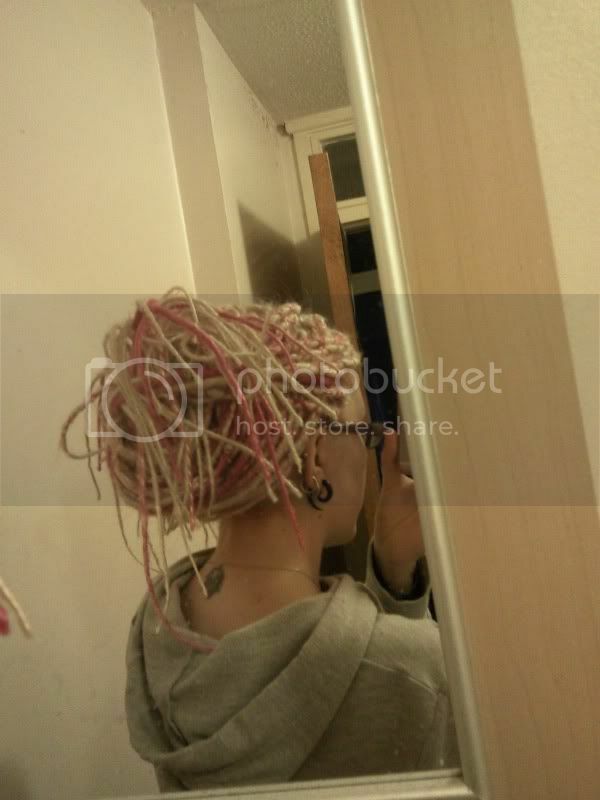 Split the top front section of dreads into 3 (as if you were doing a plait) Take the side pieces and hang them out of the way. Take the front sections and tie them up under the ponied bit, take the sections by the ears and tie then in the same way. Flip the pony back down and you get a half-up half-down, slightly longer, version of the do. I love all of these! If only I could get mine to stop slipping when I do them. My updos always seems to last about 30 minutes before they get loose and come undone. HairAndStuff wrote: I love all of these! If only I could get mine to stop slipping when I do them. My updos always seems to last about 30 minutes before they get loose and come undone. This is AMAZING! 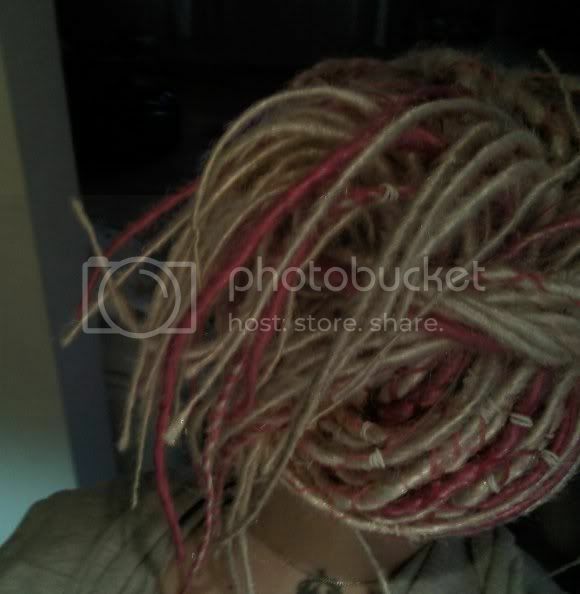 I never thought that I could have my dreads looking this hot! I tried it too. I thought the same thing, but it kinda worked..........I'll add a pic later.